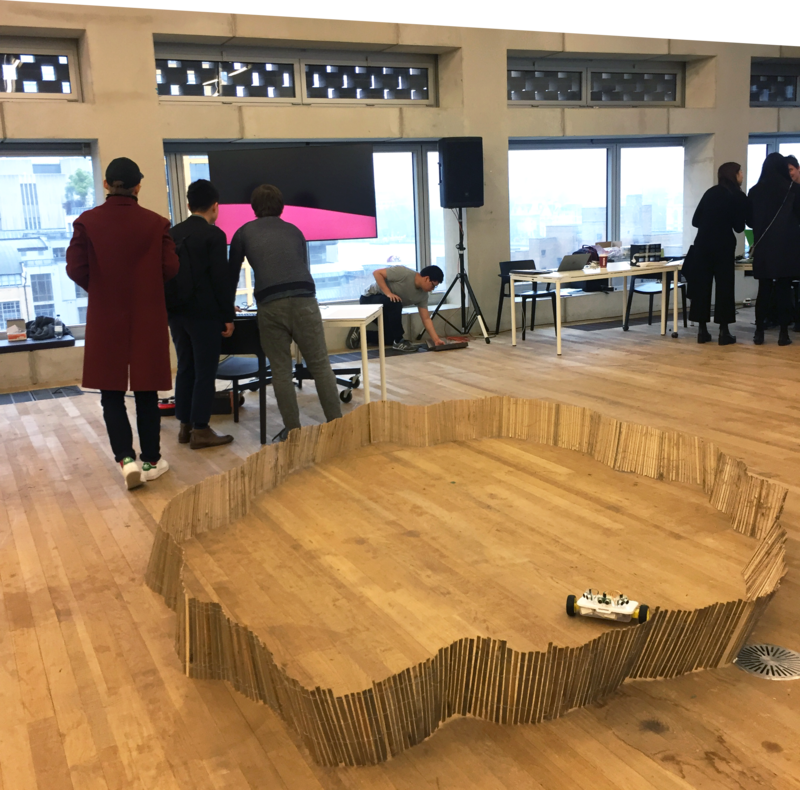 We will be trialling the Aether platform at the Tate Exchange as part of the Digital Maker Collective. You can find us on the fifth floor of the Tate Modern, on four dates during February and March. You can read more about the Tate Exchange here. The first session at the Tate Exchange is titled Digital New and the Familiar. This was the first time that Aether had been used in the wider world.Very exciting! A robot roams a given space, avoiding obstacles as it encounters them. On encountering each obstacle, a data string is sent from a Node MCU, via Aether, to the virtual environment, and populates the virtual environment with a cluster of trees according to the relative virtual position of the obstacle in the physical world. We had a functioning prototype – the robot roamed the space, avoided obstacles and sent values to Aether. The virtual environment gathered the values from Aether to populate the virtual world. Our main challenges were to do with unreliable WiFi, due to the number of people using it. We need a totally consistent connection to work from so it reveal problems if it’s not. We had some power issues with the robot (and a small explosion) but that’s easily resolved. We’ll have two weeks to make improvements, before the next session on 22nd February.